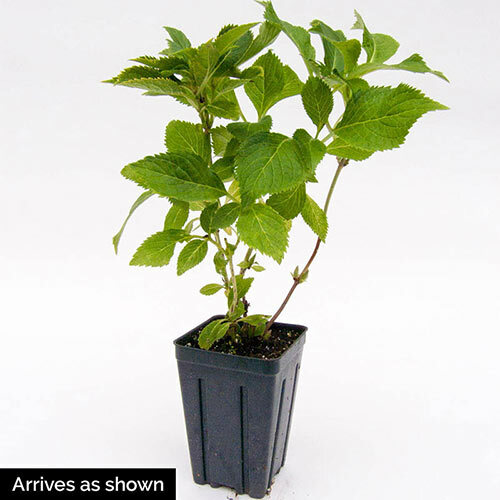 Hydrangea paniculata – in Miniature! 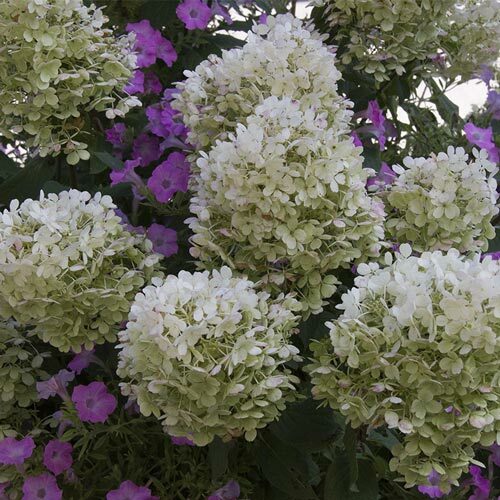 This great new Hydrangea bears so many flowers you can hardly see the leaves! 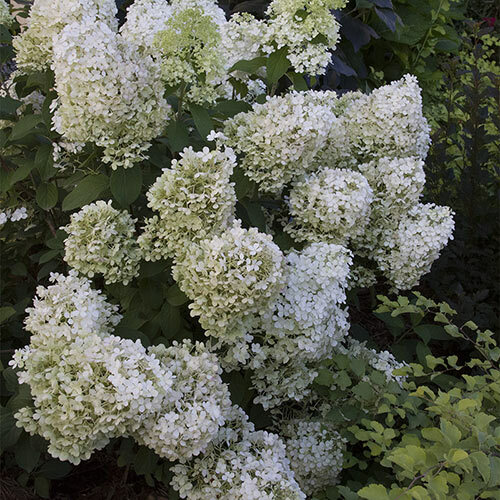 And at 2 1/2-3' tall and 3-4' wide, it is small enough that even space-challenged gardens can enjoy a magnificent Hydrangea paniculata. Extremely reliable and easy to grow, it will bloom regardless of climate, soil, pH or pruning. It even tolerates drought! 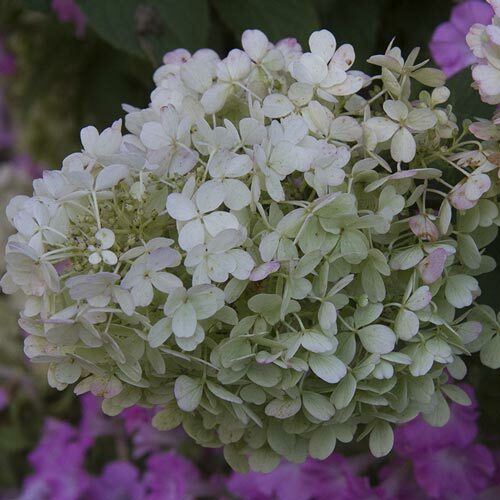 The blooms start midsummer and continue until early fall, growing increasingly larger and fuller as they mature. Since it blooms on new wood, you'll always have bloom, even after a hard winter. The breeder named it after a favorite cartoon character of his young daughter, and it's a real show-stopper, despite the funny name! Zones 4-8. 4" pot. Hydrangea paniculata 'ILVOBO' PPAF. Planting InstructionsPrefers partial shade area. Flower FormLarge conical shaped flowerheads made up on multiple sterile flowers. Foliage TypeDeciduous, bright green foliage. Soil RequirementWell drained, moisture retentive soil. Unique CharactersticsThe most floriferous hydrangeas we have ever seen. When it is in bloom, you can barely see any foliage. It is easy to grow, stays quite small and blooms its heart out! Perfect specimen for small garden spaces.